It's not the most well-known indie brand, but I do have a soft spot for Contrary Polish. When everyone else was making glitterbombs that needed a sanding drill to get them off the nail, Contrary was the only one producing gorgeous, complex cremes. Now of course, most indie makers have understood the importance of shimmer, flakies and other magics, but remember, Contrary was doing it first. 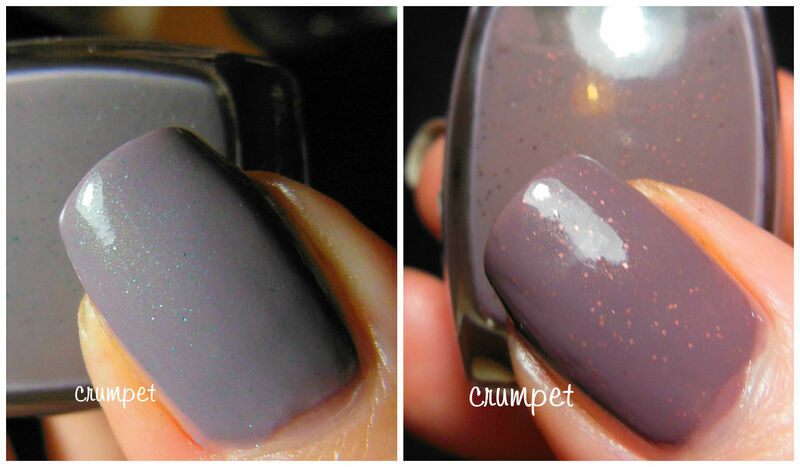 First up is Play Me, a lovely grey grungey lilac, with hidden green shimmer. This is one of my go-to shades - I can never resist a good lilac - and will you look at that close up! Feels Like Home is from the other end of the purple scale - this is super browny, but no less delicious. 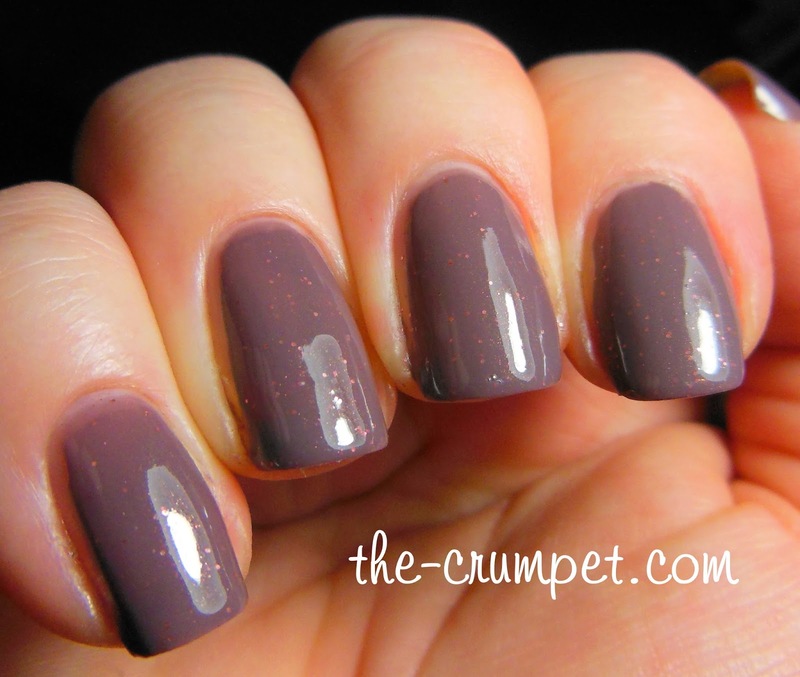 I love the shade of this colour, which is abolutely perfect for autumn and winter - and those copper specks are just to die for!